Droopy mouth corners can have a marked impact on facial features and appearance, often making the individual in question appear angry or sad when this isn’t the case at all. The result of which can be a huge impact on both self-esteem and life quality. Here at HSA Dermal Clinic, our specialist clinicians offer an extensive range of highly effective treatment options for droopy mouth corners, all of which are 100% non-surgical. With our help, your beauty and confidence can be fully restored, without going under the knife. There are various factors that can contribute to the appearance of droopy mouth corners, which vary from underlying health conditions to trauma to the body’s natural ageing process. In all instances, we use the most advanced technology and sophisticated techniques to effectively address the issue with no surgery required. However severe the condition may be, the HSA Dermal Clinic team is standing by to assist. Call today to book an obligation-free consultation. Facial palsy is a surprisingly common condition wherein the facial muscles are weakened, either on a temporary or permanent basis. Facial palsy is typically the result of moderate to severe damage to the facial nerve, which in turn reduces or eliminates the brain’s capacity to send important signals to the facial muscles. Movement of the eyes and mouth can be affected by facial palsy, as can the general appearance of the face which may become droopy, uneven or lopsided. While cosmetic surgery is often considered by those who experience facial palsy, we offer an extensive range of 100% non-surgical alternatives that can prove equally effective. 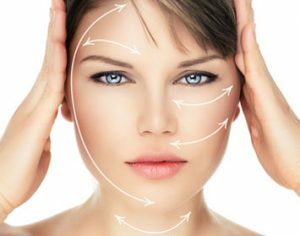 HSA Dermal Clinic has extensive experience in the correction and treatment of the effects of facial palsy, using the most sophisticated techniques and cutting-edge technology. Our holistic approach to safe, effective and affordable cosmetic dermatology has earned us an unrivalled reputation across London and beyond. Call today to book an obligation-free consultation.